". 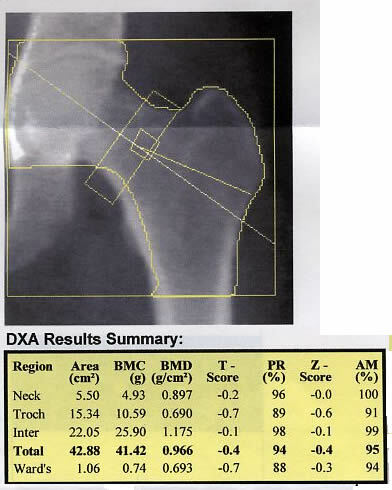 . . when compared to a previous exam, total bone mineral density of the total hip and femoral neck have worsened by 3 and 6% respectively." The clinician, however, did more than just read the report; he looked at the computer printout and noticed a problem. What was it?